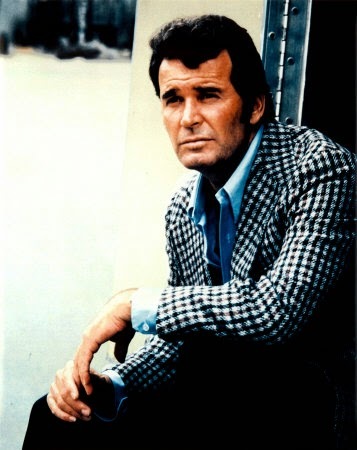 A classic Jim Rockford pose – saying so much by saying nothing. He taught me everything I ever wanted to know about being a private eye. With those checkered suit jackets, that answering machine as big as his desk, that trailer on the beach, and the gun in the cookie jar, Jim Rockford had his share of quirks. Yet, he always did the right thing for the right reasons, with a wise crack and a wink at the camera along the way. There was only one Jim Rockford and sadly, the man who played him just passed away. Although James Garner may be gone, he left his mark on generations of TV viewers. Every time that signature theme came on, it was obvious Jim Rockford was on the case. “The Rockford Files” chronicled the exploits of Jim Rockford, a private investigator who had been in prison, accused of a crime he did not commit, until he was pardoned by the governor of California. He lived in a trailer on the beach and handled cases no one else would. Not married, but never afraid to date, his best friend was his father, Rocky, who always worried about “Jimmy” but was not afraid to get involved in a case if his son needed him. Rockford’s other friends, if you could call them that, were Dennis Becker, the police detective he always got in the way of and needled for information, and Angel Martin, Jim’s cellmate in prison and a bonified con man. These were the ingredients that made a show that lasted six seasons. It debuted as a 90-minute movie, “Backlash of the Hunter” in March of 1974, and started as a weekly series on Sept. 13, 1974. “The Rockford Files” achieved its greatest success in 1978, when it won the primetime Emmy for most outstanding drama series, a year after Garner had won an Emmy as most outstanding lead actor in a drama series. The show won three more acting Emmys: Rita Moreno won in 1978 for outstanding lead actress for a single appearance in a drama or comedy series for her role as Rita Capkovic a one-time call girl; and Stuart Margolin won the outstanding supporting actor in a drama series in 1979 and 1980, for his role as Angel Martin. By the time the 1980s dawned, Rockford was wrapping up. It was in its sixth season, and had gone on hiatus. Garner had developed problems with his knees and back, primarily from doing his own stunts. Initially, it had been reported he walked away from the series in 1980, causing its cancellation, but later it was revealed these health issues were the reason. Still, he would get embroiled in a legal suit over “The Rockford Files” that lasted more than a decade. The last first-run, original episode of “The Rockford Files” aired on Jan. 10, 1980, just as the decade was beginning. I can barely remember watching “The Rockford Files” on Friday nights when it originally aired. I came to know the show better in reruns. In the mid-1980s, during the summers, my cousin Fred was visiting us for a few weeks, and CBC aired Rockford after midnight. We continued watching when I returned the favour, visiting Brooks for a couple weeks. That’s when I got to know the show, and had a chance to see one of my favourie episodes. It was a two-parter called “Never Send a Boy King to do a Man’s Job”. Dennis Dugan guest stars as Rockford’s old friend Richie Brockelman, a college-educated private eye. Richie’s dad owns a printing shop, and is blackmailed and intimidated into selling it for way less than it is worth to a crook named Harold Jack Coombs. Richie wants to get the money his dad is owed by conning Coombs, so he approaches Rockford. In classic Rockford fashion, he declines initially, because it’s way too dangerous, but his conscience gets the better of him. He has to help Richie’s dad. It doesn’t help that Rocky encourages him too. What unfolds is an elaborate sting where Rockford plays the role of southern scoundrel Jimmy Joe Meeker. It is a homage to “The Sting”, which is one of my favourite movies of all time, with Rockford taking on the same role as the Paul Newman character Henry Gondorff. 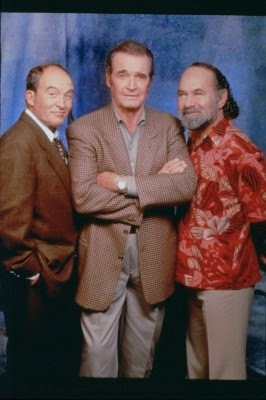 “The Rockford Files” was back on A&E in the 1990s. I recall watching it Christmas time of 1992, when I was on a trip home with my old friend Chris Vining. That got me interested for the rest of the year, at university in res. My parents had moved to the city by then, but their cable package of the day did not include A&E, so that summer I went without. Then, I was in Edmonton for a wedding, contemplating what to do with my life, and I got a sign from God. My roommate was at work, and I was dozing on the couch with A&E on in the background. Suddenly, I heard the signature Rockford theme music. The episode was, “Never Send a Boy King to do a Man’s Job”! Jim Rockford was telling me to stay in Edmonton – which I did, and I ended up having a great time. “The Rockford Files” re-surfaced again on WGN when I was in Claresholm, but it was a channel that was really fuzzy in the day, and pretty clear at night. I only mention it because that was when I saw another of my favourite episodes, “The Trees, The Bees, and T.T. Flowers”. It was a two-parter, but I never saw part two when it first aired except for the last minute. It revolved around T.T. Flowers, an eccentric old man and friend of Rocky’s played by Strother Martin. Part one ends with Rockford helping Flowers escape from the hospital. The final scene of part two has Flowers throwing rocks at someone. I wanted to fill in the hour of episode that I missed, and I did, 30 years later. (Stuart Margolin) in the 1990s. One of my friends and co-workers actually had cable TV in her room, and opened her home to me. If memory serves, I actually traded shifts strictly so I could watch the movie. I also got a blank video tape and recorded it for posterity. It was the first time in more than 14 years we saw Jim Rockford, and a lot had happened. Sadly Rocky had passed away, but Rockford still lived in the trailer on the beach, although his answering machine was much smaller now. The show opens with Rockford phoned by Kit, a lawyer, played by Joanna Cassidy, to help her with a case involving two of her clients, a brother and sister, involved in a murder. She invites him to breakfast to discuss the case. As he delves deeper into it, something does not sit right. He asks more questions, upsetting Kit. She finally lashes out, saying she should never have called him and the meeting was over. He responds by saying she did offer him breakfast. She throws the menu at him, tells him to order, then drops the bomb – exclaiming why she ever married him. He slowly sinks behind the menu as the scene fades to the first commercial break. “I Still Love L.A.” won its time slot and was the number four most watched show of the week. Seven more “Rockford Files” TV movies would follow, the last guest starring Hal Linden and airing in 1998. I read a story about a poll TV Guide did around the time “I Still Love LA” aired on CBS. Jim Rockford was voted the favourite TV private eye of all time (Thomas Magnum was number six). It showed the staying power Rockford had. What made him so engaging for me was that he was not a glamorous or idealistic private eye. Instead, he was just a regular guy who reacted to situations the way many of us would. That meant demanding to get paid, something never mentioned in other shows, and quitting if he wasn’t. He got beat up, lied to, ran away from impossible situations, and sometimes did things that were unethical. But, in the end, he always did what was right, often to his own detriment, taking cases no one else would. 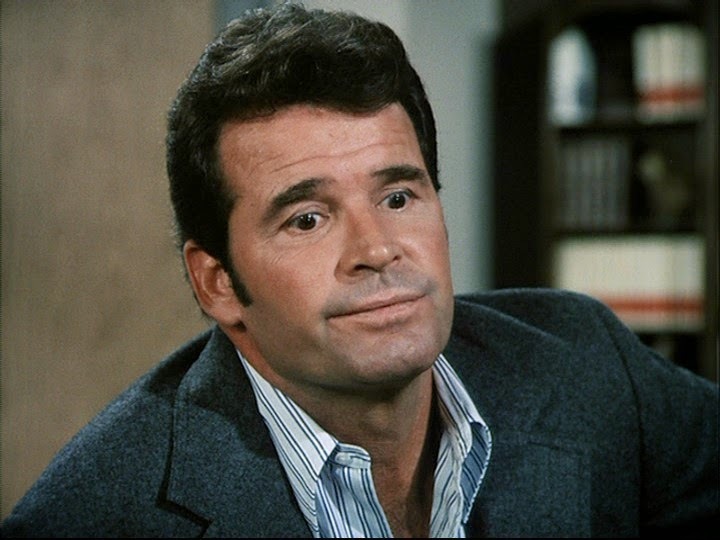 Jim Rockford, deep in thought. He never carried a gun, preferring to talk his way out of situations. In fact, that was part of that Rockford charm. He always had a wise crack, and could say so much without saying a word. His facial expressions were priceless and conveyed so much meaning, especially when Angel was vexing him. Beyond all that, family was extremely important to Jim Rockford. The bond he had with his father was obvious, and it was one of the most endearing parts of the show. Rocky would alternate between putting up with his son’s antics and condemning them, but in the end he was always there for Jim. They laughed as much as anything, and that was another hallmark of the show – it never took itself too seriously. We don’t really have that many private investigators on television right now. The only one I can think of is “The Republic of Doyle” on CBC. I’m not sure if it’s a coincidence, but it was inspired by “The Rockford Files”. So thank you James Garner for bringing us Jim Rockford. I don’t think we’ll ever see someone in our living rooms quite like him. Rest in peace, both of you.